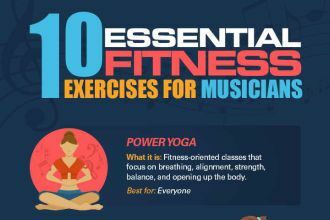 Here’s something for musicians who want to keep themselves in good fitness. The article below first appeared in TakeLessons. As musicians, it can be easy to forget that it’s not just our mind that matters — our body plays a role in learning music, too! And just as it’s important to find a great teacher to guide us toward reaching our goals, it’s also vital that we remember how to take care of ourselves. How Much Beer Can You Drink Before Driving?